ADULTS: 85 USD + 10 USD park fee for the Hol Chan Marine Reserve. CHILDREN under 12 years old: 43 USD, waived from the park fee. 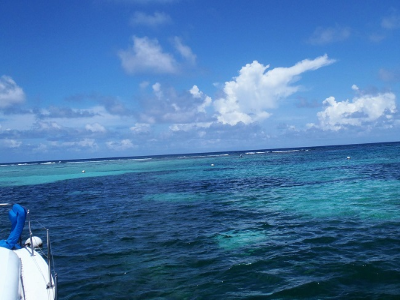 The Northern coast of Ambergris Caye has amazing blue waters and beautiful views along the way. The Mexico Rocks Day Sail starts with sailing to Mexico Rocks, that in the end of 2015 became a part of the Hol Chan Marine Reserve, to protect its rich marine life and precious corals. 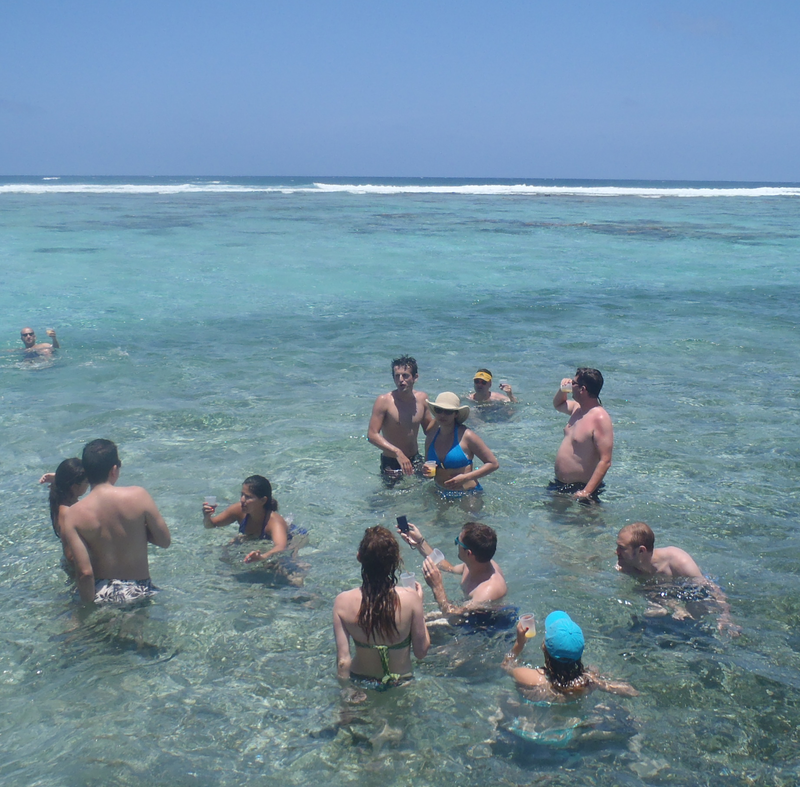 We do our first stop for snorkeling there and then continue to our favorite spot - a shallow area right by the reef, that is just like a natural pool (great for non-swimmers as well)! Here we make a break to relax in the shallow warm water, while the crew prepares lunch onboard. After lunch we return South doing a second snorkel stop at Tres Cocos. Read more about the sites we visit, Mexico Rocks, Tres Cocos and the Natural Pool under the Details tab. A vegetarian substitute to the fish and chicken must be pre-notified. Nothing contains dairy, let us know if you are allergic to gluten. Guests are allowed to bring additional beverages on-board. Mexico Rocks is an area of huge coral heads scattered all over this snorkeling spot - making it look like a Mexican sombrero, as some say the name comes from. Common creatures like angelfish, butterfly fish, groupers, snappers, file fish, grunts can be seen swimming along these formations as well as a casual loggerhead turtle. Since Mexico Rocks became a part of the protected Hol Chan Marine Reserve in November 2015, it’s getting fame for its prominent amount of marine life, and the large coral formations has been flourishing. South of Mexico Rocks closer to town is Tres Cocos, a small concentration of marine life along the reef where a large amount of fish can be seen. 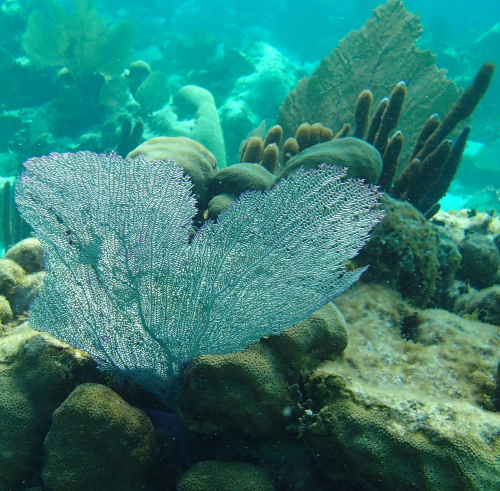 You can encounter a large population of Elk Horn corals, Lettuce Coral, Brain Coral, Sergeant Majors, Angel Fish, Damselfish, Fairy Basslet, Hawks-bill Turtles and occasional Green Turtles just to name a few. 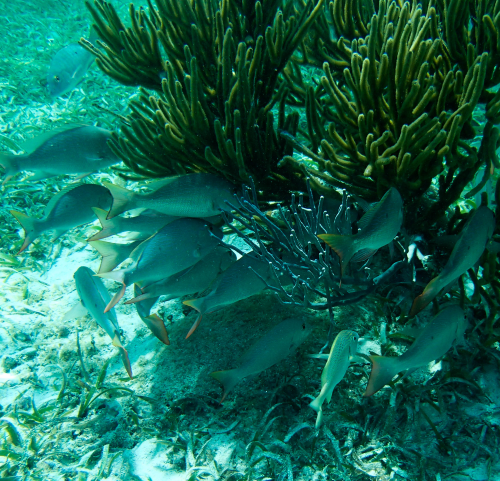 This area is an entrance for large reef fish that usually lurk around these areas in search for food. This is an exclusive stop that only we make - we have the advantage of only drafting 2 feet which makes it possible to anchor in such shallow water, and we are also blessed with a Captain that know the spots where nobody else goes. 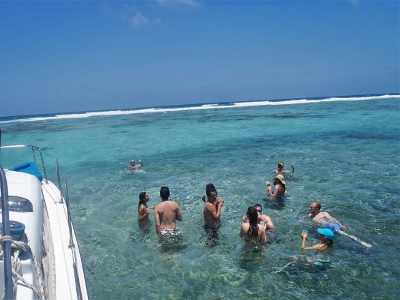 This is a shallow area just by the reef and except from spectacular views it is also a unique setting and a refreshing break. The water is only 4-5 feet deep. 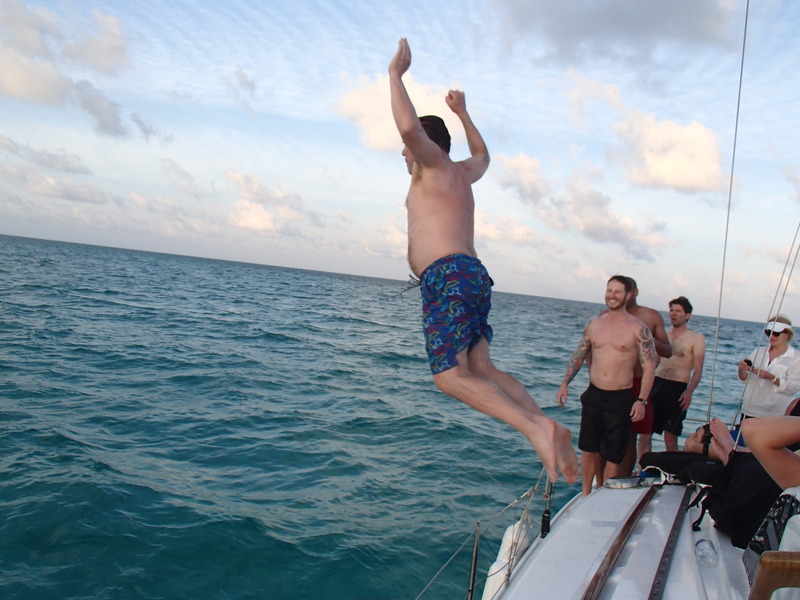 We specialize on custom-made Private Charters! You will have the catamaran only for you and all the attention on you. Making the tour private opens up to a lot more possibilities. 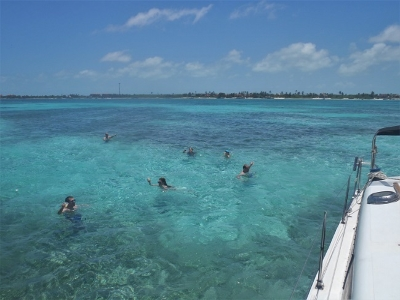 We can do a plain Mexico Rocks Day Sail or we can also change the itinerary and/or add on more activities! If you add on more hours, we can do more snorkeling, explore the Northern shore or also add fishing (groups of maximum 6 people).